What’s your go-to sports bar for NFL Sunday? There are plenty to choose from in the neighborhood around your apartments in Katy, but we’d like to remind you of another awesome spot to watch football; a chicken wing restaurant. Sure, you could get chicken wings at most bars. However, they won’t be as good as the chicken wings at these awesome eateries. 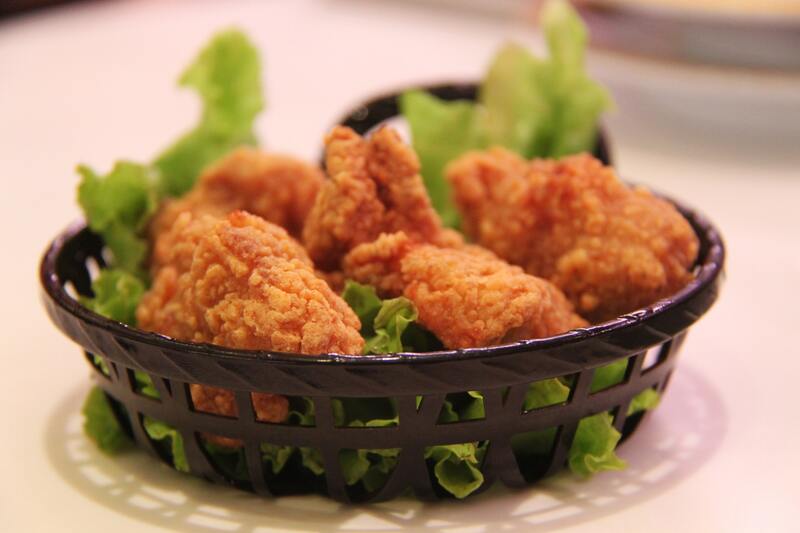 In the blog post below, we’ll be sharing three of the most popular chicken wing spots in Katy. Check it out and let us know what you think, residents! Whether you’re into spicy wings, saucy wings or dry rub, we think you’ll find some wings you love on the blog post below. Oh, and when you’re done reading through the blog post below, please feel free to share the link to this page with your friends. Better yet, go ahead and share it with your neighbors at The Grand at LaCenterra — the apartments for rent Katy, Texas residents choose for contemporary comfort. The first chicken wing spot on our list specializes in Asian chicken wings. Hoodadak is located in the H-Mart food court, so give it a try next time you make a trip there! We love this place because of the sheer variety of wing flavors. We’re partial to the soy garlic wings, but you can’t go wrong with the honey-coated wings either. Some wing places claim to have super saucy wings, but the basket of wings that arrives at your table often ends up lacking in the sauce department. That’s why we love Zoner’s — a place where every wing gets more sauce than it needs. You’ll have plenty of extra sauce for dunking even if your wing is completely coated. The wings are big, they’re affordably priced and they’ll fill you up. Give this place a shot, residents! If you're looking for a place where you can watch the NFL playoffs in total comfort, look no further than Growler USA. This place has all the TVs you need, cushioned bar stools and some of the biggest wings we’ve ever seen. They’re meaty, they’re juicy and they’re as crunchy as wings come. Growler is also a microbrewery, so you can enjoy some of the best beer in Katy while you eat your wings. Football, beer and wings — what could be better? See you there on Sunday, residents! Those are all the chicken wing spots we’ve got to share with you this week, residents! We’re so glad you were able to take a few minutes out of your busy schedule to hang out with us here on our blog page, and we sincerely hope that you’ll come back in a couple weeks to read our next post when we post it on the site! In the time between now and then, be sure to make a point to try out some of the chicken wing spots on the blog post above! Be sure to check back in January when we post our next blog on the website. If you feel like you learned something from this week’s blog post and you want to see the next one right when it’s posted on our website, we encourage you to bookmark our blog page! By doing that, you can ensure that you’re always in-the-know regarding upcoming blog posts. After you bookmark our blog page, go ahead and follow us on social media! After all, there’s no faster or easier way to keep up with upcoming resident events, special giveaways and promotions going on at your favorite community of apartments in 77450.